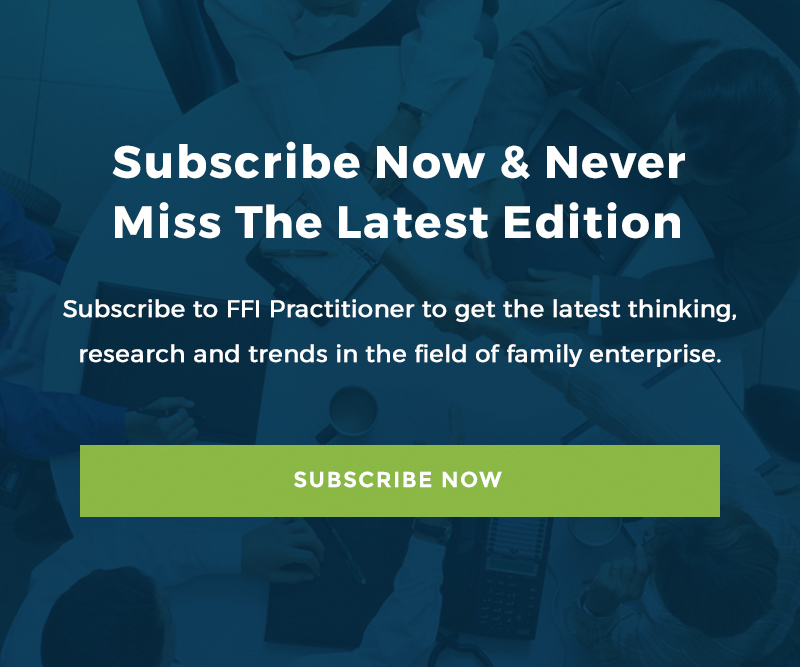 The Practitioner brings you Executive Summaries from FBR Assistant Editor Karen Vinton, covering a range of topics that are true north on a practitioner’s professional compass. Last week, The Practitioner caught up with Chris on his US book tour. James Olan Hutcheson, an FFI Fellow and advocate on this issue, was able to sit down with Chris. Love may not keep us together: Working collaboratively to advise family firms. In my work as a family business advisor, I have had numerous opportunities to collaborate with a registered clinical counsellor who specializes in family therapy.